The Liver Is The Organ That Involved In Most Vital Activities, Such As Fighting Against Infections, Stop Bleeding, And Removal Of Drugs And Toxic Product From Blood And Energy Storage In The Body. Hepatitis Means Inflammation Of The Liver That Impairs Its Activities. 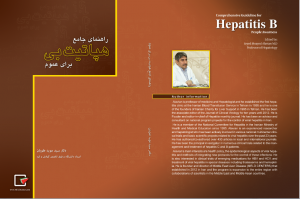 Hepatitis Has Different Causes Which One Of Them Is Hepatitis B Virus. This Virus Infects Human Liver And Replicates In Liver Cells.